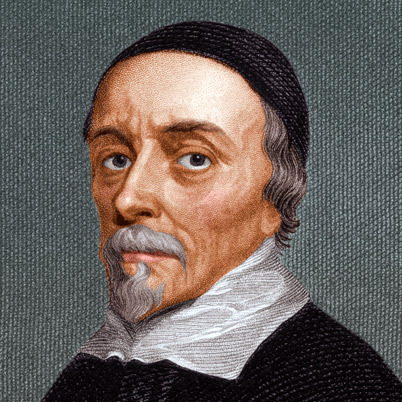 Famous English physician William Harvey, discoverer of blood circulation and heart function, was born in 1578 in the town of Folkstone, England. Famous book An Anatomical Treatise on the Movement of the Heart and Blood in Animals (automatic motion anatomy of the heart and blood of animals) was published in 1628, aptly being called a landmark book on the history of physiology. Indeed, the fact is the starting point for the birth of modern physiology. Its main significance lies not in immediate use, but in laying the basic understanding that describes how the human body works. For we are now being raised with the knowledge of blood circulation, Harvey will consider the theory as something completely obvious. But, what now seems so simple and obvious, not so well for the past era biologists. Leading writers in the field of biology has presented various opinions, among others: (1) the food is converted into blood in the heart, (2) food warms the heart, (3) the blood vessels of the heart to the body filled the air, (4) heart makes " vital spirit ", (5) of blood, both in vessels of the heart and to the ebb and flow to the heart and are often away from the heart. Galen, the physician of the ancient, who personally examine and reflect carefully on the heart and blood vessels, had never guessed that the blood circulating. This also escaped the observation of Aristotle despite his major concern to biologists. Even after the publication of Harvey's book was a lot of doctors are reluctant to accept that the blood in the human body are constantly rotating in a fixed channel on the system and provide power to the heart's blood flow. Harvey is first compile an opinion on the blood circulation by making a simple calculation arithmatik. He estimated that the amount of blood emitted by each heart rate of about 2 ounces. Because the heart beats 72 times per minute, the sum can be concluded about 540 pounds per hour emitted blood into the aorta. But the amount that exceeds the amount of 540 pounds of the weight of a normal human being, even surpassing the amount of weight itself. Because it is clear to Harvey that the same blood through the heart is still spinning. After formulating this hypothesis, nine years old he used to perform experiments and conduct thorough investigations to determine the details of the blood circulation. Harvey in his book clearly states that the arteries carry blood from the heart while veins carry blood back to the heart. In the absence of a microscope, Harvey could not see the capillaries, the smallest blood vessel that carries blood from the smallest arteries to the veins, but he concluded that there was exactly that. (Capillaries discovered by Malpighi Italian biologist, several years after the death of Harvey). Harvey also pointed out that the function of the heart is pumping blood into the arteries. In this respect - as well as the importance of the opinions of others - are fully correct theory of Harvey. Furthermore he presents the experimental results are very valuable to strut reason. Although initially challenged the theory of Harvey fierce, but in the end his theory accepted. Harvey also delivers a embryologi, although less important than the investigation in terms of circulation, not something that should be trivialized. He was a careful observer, and his book On the Generation of Animals (On generation of the animal world), published in 1651 showed the true beginning of science embryologi. Just as Aristotle's influence is very strong, Harvey rejected the theory that the overall structure of the animal body is the same as any young adult animals, with the only difference in size. Harvey rightly declared final structure of an embryo grows step by step. Harvey most of his life filled with happiness and success. In the teens he entered the University of Cambridge. In 1600 he went to Italy to study medicine at the University of Padua, who was arguably the best medical schools in the world. He graduated in Padua in 1602, back to England for a long time practicing medicine and success. Among the many patients there are two kings of England (James I and Charles I), do not miss the famous philosopher Francis Bacon. While he was teaching at the college of medicine in London and was elected rector of the refuse. And in addition to private practice, he became head physician at the Hospital St. Bartholomew, London. When his book about blood circulation, published in 1628, suddenly his name famous throughout Europe. He was married but had no children. At the age of seventy-six years he turned a blind eye in London.